'Creran' is on the first floor of the main house in the original building. Comfortable and homely base for the beautiful Appin area. We felt immediately at home in Creran and found everything we needed. Cosy and warm. Would recommend cycle hire on Lismore, wonderful day out. The gardens provided a tranquil backdrop to the clean and comfortable accommodation. The extra cot for visiting family was organised with ease. The games and DVDs provided helped on those wet days. Pleasant enough place to stay, but needing attention to the basics. We enjoyed our stay in Appin, very beautiful area. Plus points - comfortable large bed. Apartment adequately warmed by a range of electric convection and storage heaters. Galley kitchen with necessary fridge/freezer, crockery, cutlery etc. See also negatives below. Quiet location, with owls hooting at night, very pleasant. Adjacent garden and garden centre. Fiona, the owner was very helpful. No dishwasher, which would possibly have helped with the above issue. Washing machine and tumble drier, not available in the apartment, but two stories down. Not very convenient. All told I didn't feel this property was worth 425 pounds per week. I've had wide experience of self catering accommodation and it was below the standard I would expect for this price. We are sorry Creran didn't live up to your expectations. 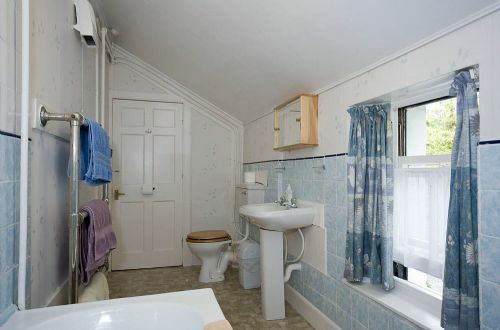 The sink is a problem that we have due to the layout of the historic house and it would probably be helpful if we gave advice how to increase the flow (ie. fill up the sink or bowl to get a head of pressure) Also we will take up your suggestion to make the fire escape notice clearer. Thank you for your feedback and we're glad you enjoyed the peace and quiet. Wonderful week...could have stayed longer! We really enjoyed our week here, such a beautiful area. The apartment was very comfortable and well equipped and in a very quiet spot. The area has so much to offer, good restaurants nearby, great walks and easy to get around and explore! We would not hesitate to book again! We enjoyed a lot our stay at Creran house. The location was perfect, Appin and its surroundings are beautiful. The apartment was very confortable and even bigger than expected, very quiet, with only the sound of birds, which is very important for us - We just needed more black out on the windows, too much light in the morning. Everything, the check in as well as what to see and do around, and the rules was well explained, and the house was very easy to reach. In comparaison to others places that we searched in the net, I think it was a very good value for money. If back to the area, we´ll book there again and we highly recommend Crearan. Four - day break in Appin. Lovely flat with everything we needed, nice, quiet location, private and comfortable, within a couple of miles of the Lismore Ferry and restaurants. Would definitely use again. Comfy stay. Plenty of hot water and well equipped. 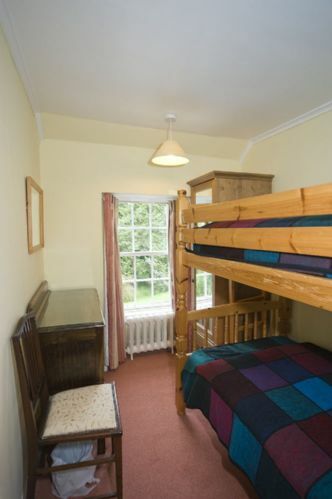 2nd bedroom, bunks, would be overly cosy for two adults but fine for one. Furnishings slightly dat but in keeping with traditional property. We very much enjoyed being back to this lovely apartment. It is a spacious and comfortable apartment of much character and is very well equipped in a quiet yet accessible location. We hope to be back again. 5 night stay organised at short notice.Did have one or two issues with website but a couple of phone calls managed to resolve this., so booking process was not as easy as it could be. Think it was only set up for full week bookings although Creran was already booked for part of week. Great place to stay, thoroughly enjoyed our visit to Appin and surrounding areas. 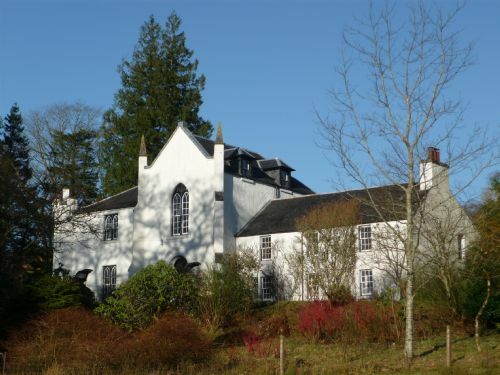 This was our second visit and we highly recommend Kinlochlaich House. welcome return - for the 7th time! Yep we've stayed at Creran 8 times now, and I guess that almost says it all. 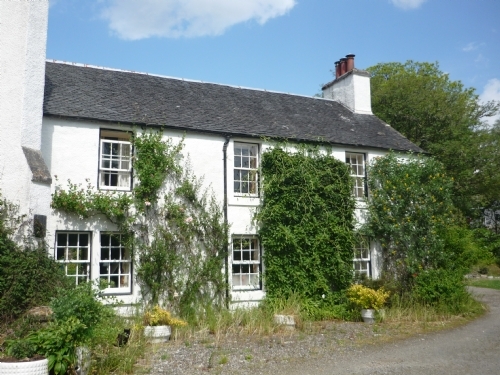 Homely, comfortable, access to the delightful grounds of Kinlochlaich House and within 1/2 hour of Glencoe. What else could you ask for? Some decent weather, I guess; & yet again late April/early May in the highlands came up trumps. As on previous occasions, the accommodation was very comfortable and ideally located for my purposes. Susie and her family are always very welcoming. As usual we thoroughly enjoyed our visit to Kinlochlaich. 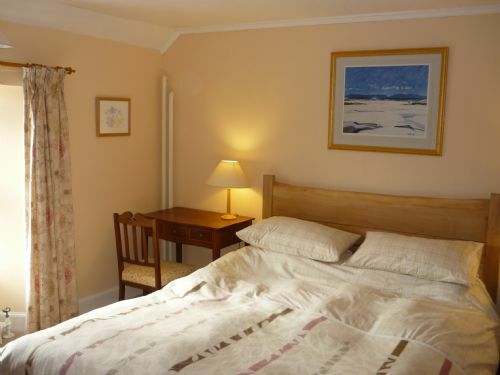 This was our first stay at Creran which we found comfortable and convenient. We loved the tennis too. Our stay in Kinlochlaich House was nice and quiet. Good situated to lots of places to visit. Nice gardens and Susi is very nice, too. We would come book it again. 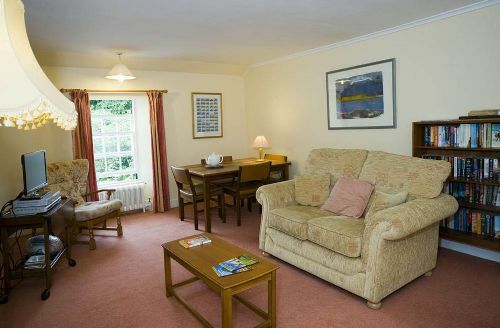 A comfortable apartment with the added enjoyment of a fine garden and woodland. We had a lovely short stay at Creran. The accommodation was very comfortable, and it was lovely to be able to wander round the garden. The house is walking distance from the estuary, where we enjoyed watching a variety of birds. Port Appin is a short drive away, and a day on Lismore is a must. Delicious food at the harbour restaurant. We would definitely return when visiting the area again. Wonderful stay at Kinlochlaich House. The house was in a fantastic location for getting to many places of interest. The accommodation was good value for money, but was quite old fashioned inside and could do with some updating. We had a beautiful relaxed holiday. The facilities are excellent and the garden is beautiful. Donald and Susie are wonderfully welcoming. It was great for the children to be able to use the tennis court. There is a great variety of stunning places to visit. We shall certainly return. Wonderful holidays! Creran is ideal for longer stays because it is a fully equiped home. Lovely living room with a cosy electric fireplace is a perfect place for warming up after hiking in Scottish weather. Very friendly and helpful hosts. We will certainly come back again (after being there times already). Ideal location, situated halfway between Oban and Fort William. Glencoe is in reach in about 15min. Very special atmosphere because of the garden surrounding and the beautiful Kinlochlaich House itself. Thanks again for a wonderful three weeks stay! Creran is part of a large Scottish house in Appin, close to the sea and near the hills of the west coast of Scotland. Easily accessible from the main road, there is ample parking and the apartment is reached via a short spiral staircase. Inside there is plenty of room for a family of four, and it is comfortably furnished with good quality furniture. The window light is beautiful, with views over the surrounding hills and gardens. The small kitchen is well equipped, and there is ample heating throughout. A shared washing machine and dryer is a short walk into the main building. The house is part of a garden centre, and access to the grounds is available at any time - the gardens are quite outstanding, making this a very special location. Oban and Fort William are about a 40 minute drive away, and many of the islands on the west coast are easily accessible. Well situated for Glen Coe to the north, Oban to the south and with some good walking in between. The situation itself is delightful with a swing seat in the garden for relaxing on those balmy evenings - with which we were well blessed, despite it only being April. Creran feels like a home from home after our fourth stay there - we look forward to our next visit! We were exceptionally pleased and satisfied with our very comfortable stay. We loved the space in Creran and was delighted with such a well equipped kitchen, dvd's, books, jigsaws, local information etc. Would thoroughly recommend and hope to be back. 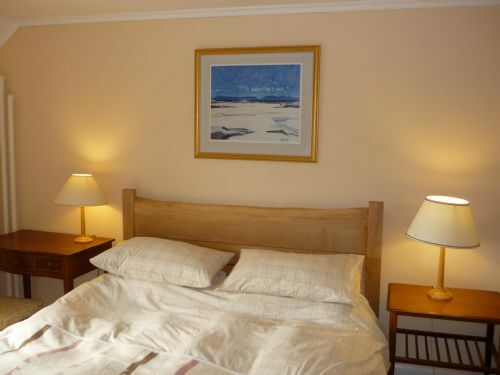 Creran is a comfortable apartment for a couple, on their own or with young children. The location is superb for visiting Argyll, Mull and the Glencoe area, and has fabulous walks - easy and more challenging - close by. We saw sea eagles in the valley behind Kinlochlaich House. The gardens are also lovely, with places to sit and enjoy the view. The owners are very helpful and friendly, and there is a huge amount of information on what to do, and where to eat (as well as books and DVDs for rainy days). Very good value for money. A really lovely cottage / apartment, felt very welcome!! The weather was not so good, so we stayed more hours indoors than expected and hoped for, but that was absolutely no problem, thanks to the comfort and cosiness of Creran. Renee Santema from The Hague in Holland. Creran apartment lived up to our expectations and we appreciated the arrangement of flowers Susie the owner gave us to enjoy all week.The location was great and there was plenty to do in the area.Creran is a calm lovely place to recharge your batteries. Superb location. Kids loved tree house, tennis & table tennis/play room. Apartment traditional, full of character and really comfortable. Always lashings of hot water . Wifi good. Cut flowers on arrival a lovely touch. We thoroughly enjoyed our stay at Creran : it is very nice, comfortable, the surroundings are great and we felt very welcomed. We strongly recommend it. Plus it's great for children. No complaints! We had a great week with our 10 Month old daughter and would happily return! Friendly people, lovely surroundings and accommodation. Just a great, relaxing placde to stay, with a stunning view of Castle Stalker within a few minutes walk. Very handy too for Glen Coe and Oban. We've stayed at Kinlochlaich 6 times now and can't wait to return again! We stay at Kinlochlaich House regularly and enjoy every minute. Stunning location, very comfortable and welcoming. Can't fault it in any way. It's a real treat. Quiet and beautiful setting. We decided to extend our stay and the owners were so flexible and accommodating. We never want to leave when it comes to packing up! A late booking for a week of climbing. Beautiful setting for a holiday in a quiet part of Argyll. Creran is a really roomy apartment and full of character where we felt very at home. Fine views out across the Strath and to the hills. All very clean and kitchen is well equipped ready for all that wonderful local food. Flat is decorated with some excellent local photos and Scotish paintings. Susan and family were very welcoming and helpful and the gardens are a real oasis with a super choice of plants to take home. The ecofriendly approach is good to see. All very sensible and for little extra effort. There are many fine walks from the doorstep either up onto the hills or down to the shore and you can connect to a fine cycle track just down the road. Nearest shop is in Port Appin so it's a bit of a walk if you run out of milk. We loved out stay here and with Glencoe only 30 minutes drive away look forward to getting back as soon as possible. Stayed here a few times now but this was our first time in Creran and as usual it was an excellent stay. 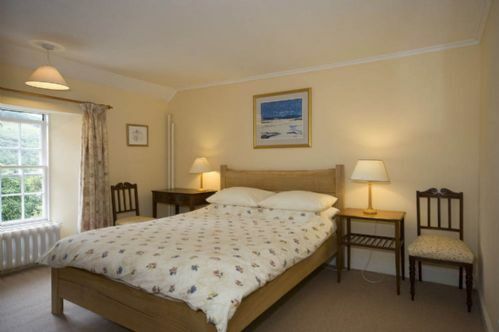 Susie is always very welcoming and the accommodation is warm, comfortable and well equipped. We love staying here and will be back again as soon as we can. Thank you Susie! It was lovely to see you again and thanks for the great review.